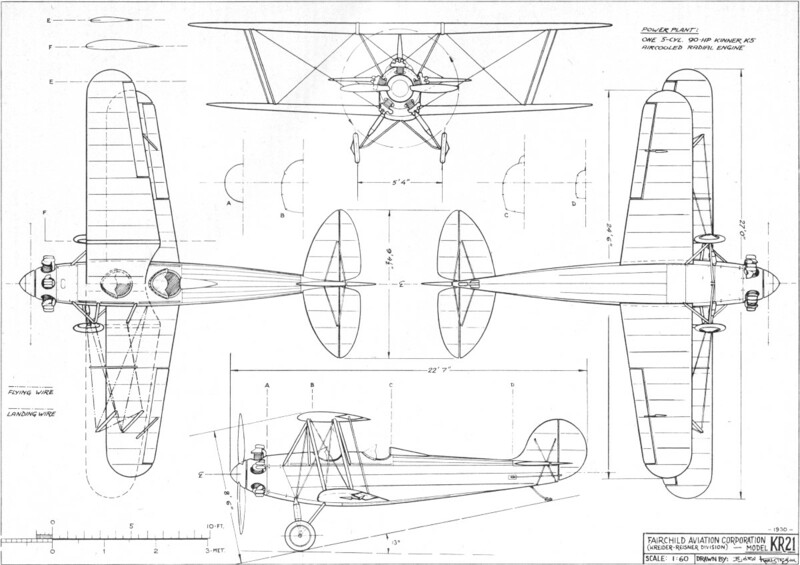 This 4-view drawing of the Fairchild Model KR21 was scanned from page 29 of my purchased edition of the October 1967 American Modeler. 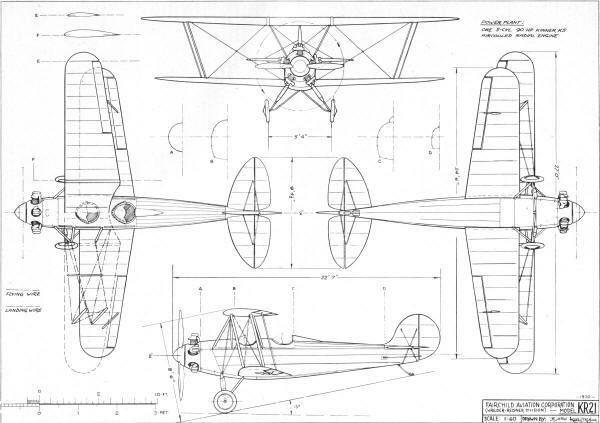 It is another example of Björn Karlström's fine scale drawings. Airplanes and Rockets website visitor Jonathan D.
A fairly extensive Google search on the Fairchild KR21 turned up nothing other than a handful of photos and an NTSB accident report from 1962. Not even Wikipedia has an entry for it. 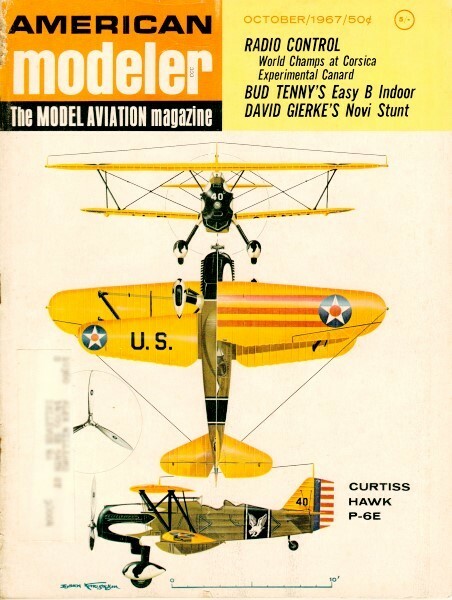 See some examples of restored Fairchild Model KR21 biplanes (and here). Here is an advertisement for the KR21 in the December 1930 Aero Digest magazine.